Staying organized and keeping events/ dates all straight is always tricky! Yes of course, we have Smart Phones to keep our calendars…. yet sometimes we need to hang some important keys, necklace, lanyard, pin up a fast note or save a cool label, ticket or picture! If you are a visual person like me, gosh I need a reminder board as a landing space, to quickly glance at it each day as I run out! Upcycling made this board redesign almost free! Upcycled Cork board MOD & Deep Styling! 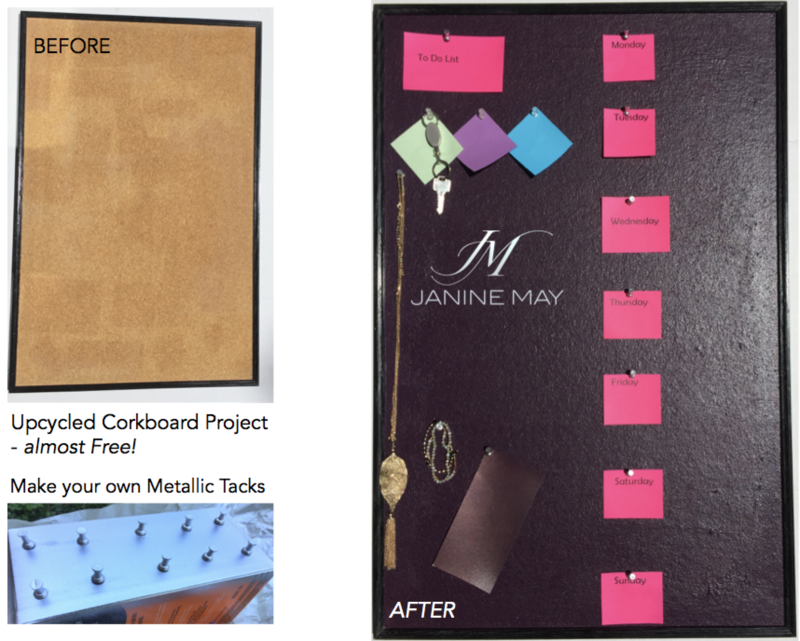 Here’s How to create your own old school Cork board Hack! Select a dramatic latex paint colour! Select your favourite colour note paper as ‘To Do Notes” Have Fun with your old school cork board and ‘Pin Up’ whatever your smart phone will not hold!